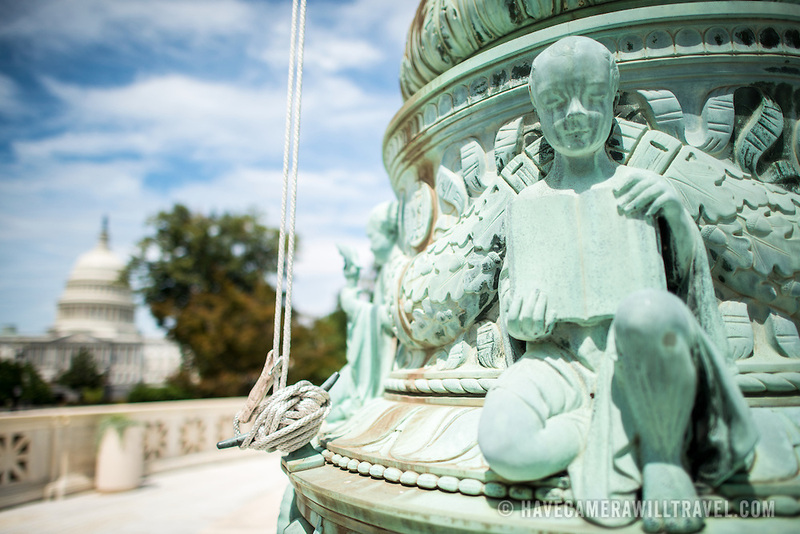 Supreme Court Flag Pole Sculpture with Capitol Dome. Decorative sculptures on the base of one of the flagpoles standing in the plaza in front of the Supreme Court of the United States building on Capitol Hill. In the background, at left of frame, is the US Capitol Building dome.